The birth of your baby is one of the most important memories you will hold dear in your life. I am here to document and preserve those important first moments for you. Things are a blur in those first 48 hours. Your body has just delivered a miracle. People are in and out. Food is ordered and gets devoured or forgotten to get cold. Cat naps are your current normal. Bed positions are like fitting puzzle pieces together. Diapers are changed. The magic of swaddling is learned. Self-care is taken to a whole new level. Quiet moments of soaking in your new baby. That new baby scent lingers. Babies change so fast, especially in their first days. Between the day your baby is born, and perhaps when you schedule your family’s portrait session 2-4 weeks, babies will change. They grow, they learn, they experience. Many of your baby’s ‘firsts’ happen within that first day or two: first bath, meeting family members, first ‘real’ outfits, as well as the newness of breastfeeding, snuggling, diaper changes, burps. As parents, we’re often lost in the blur of those first few days and weeks. 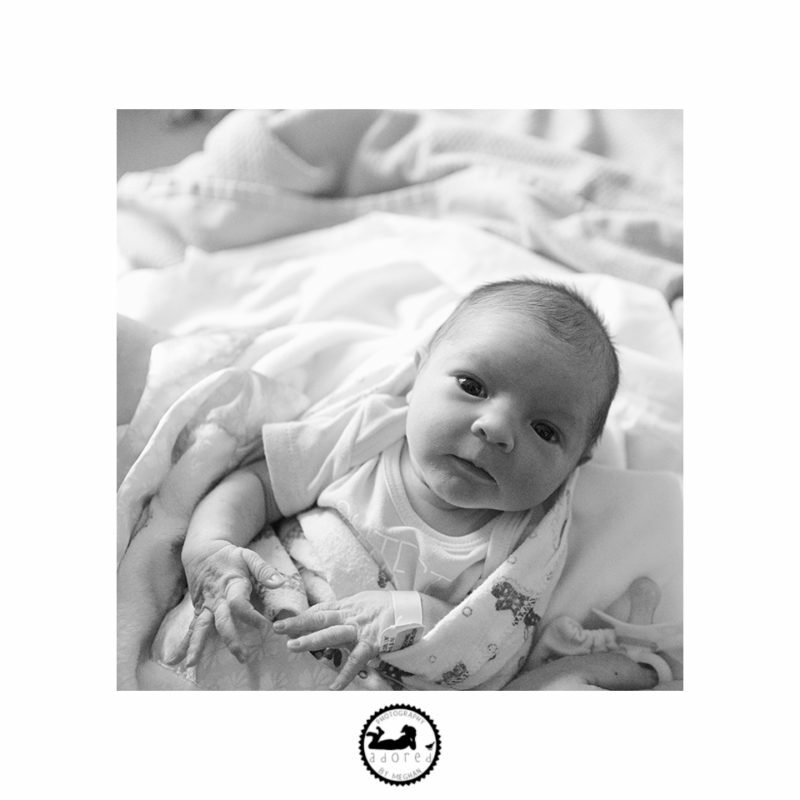 We may be all over photos of our new baby, but how often do we make sure we’re in them too? Schedule your Fresh 48 session so you can soak in the moments and receive beautiful, professional portraits without stress on capturing the *perfect* photo. A Fresh 48 is a fully lifestyle session. No special lights, no posing, no props. Meghan will arrive within the first 48 hours after your baby is born. 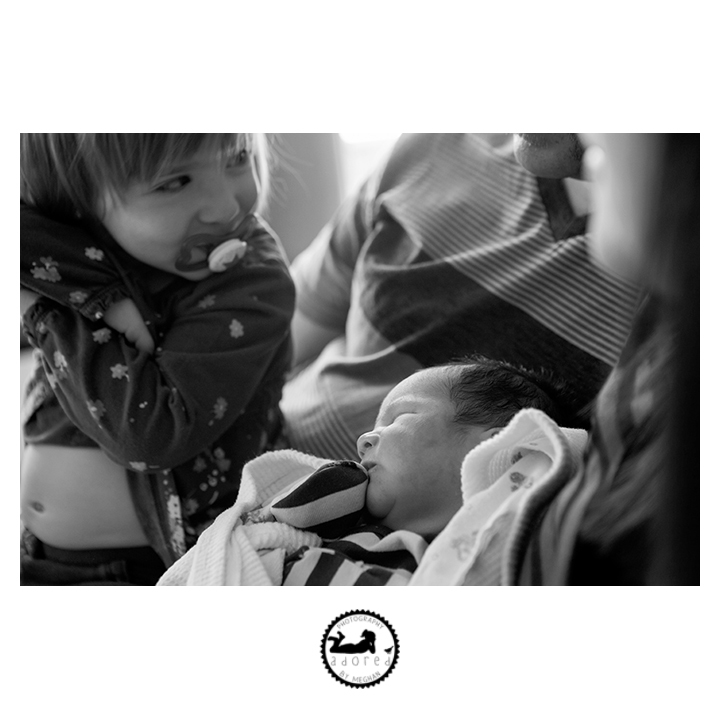 She will spend 1-2 hours documenting the special moments and sweet baby who is yours. All final images will be delivered via USB in handmade, 100% recycled, organic, cotton paper box. Rates subject to Washington State and local sales tax, and are subject to change at any time and without notice. $200 non-refundable retainer due at time of booking to secure estimated due date. Session balance due before delivery of final gallery of images. Use the Book Meghan tab to send Adored by Meghan an email.